We present a single screw extruder plant which is mainly used for controlling, staking, gripping and sizing of PVC, HDPE pipes and profiles. 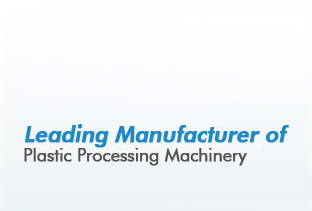 The extrusion process is smoothly carried out by using extruder technology. Available in different specification, the plant meets the requirement international quality standard. Our range includes screw extruder plant, cooling unit, cutting saw, die head, single screw extruder plant, Pvc pipe extruder plant,HDPE pipe extruder plant, PVC profile extruder plant, cater puller, tipping chute and high speed mixer. We are also recognized for delivering highly functional and performance oriented range of Inline Round Drip Pipe Extruder Plants. These lines are precision designed for achieving the production of round drip irrigation pipes with inline round drippers. 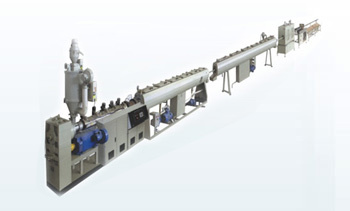 The extruder plants are designed to deliver pipes with wall thicknesses of 0.5~1.5mm. 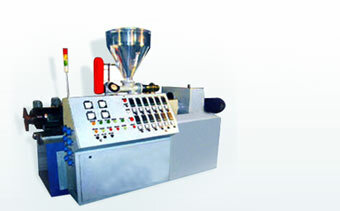 We are leading and well recognized names in the field of manufacturing Inline Flat Drip Pipe Extruder Plants. These can be delivered in maximum line speed of 120 mts/min with the line controlled by advanced and easy to use touch panel. For superior functioning of the plants, the dripper insertion is controlled using precision servo motor that allows it to be automatically screened centrifugally before insertion.